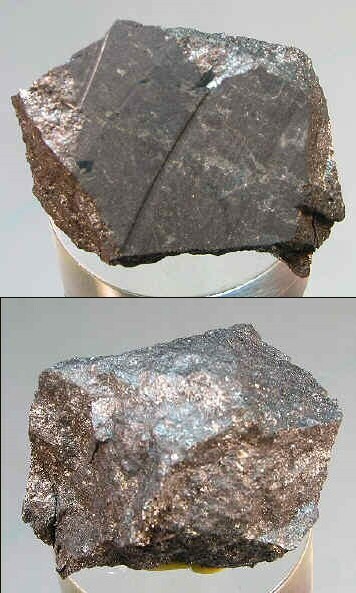 Comments: Solid crystalline mass of dark gray, metallic junoite. Partially sawed indicating analytical verification. Location: 700 level, Juno Mine, Tennant Creek, Northern Territory, Australia.